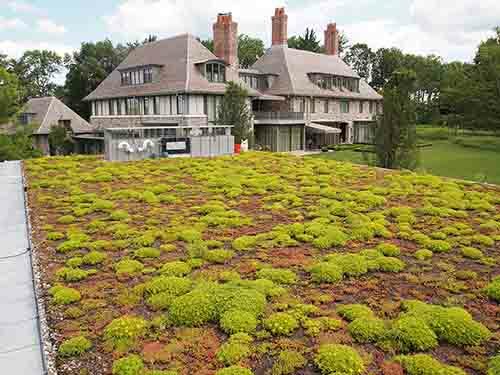 Greenwich Residence | residential | Living Roofs Inc.
A green roof weighing in at 14 lbs/sqft. The site impact of the new poolhouse was reduced through the installation of an extensive green roof over the entire 2,750 sqft roof surface. The green roof system selected was the Xero Flor pre-vegetated mat which has a high percentage of plant coverage at the time of installation. 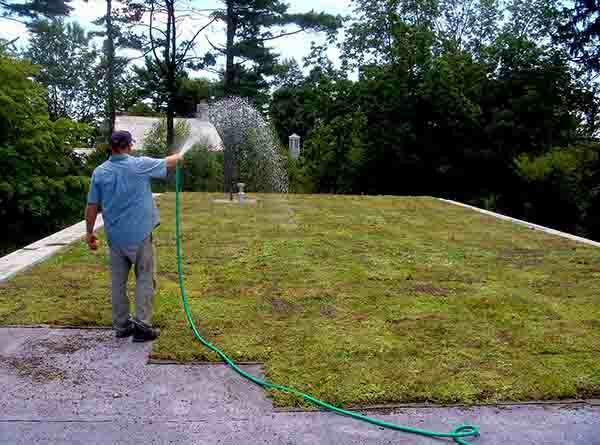 The green roof system is relatively lightweight with a thin profile of approximately 3.5 inches. 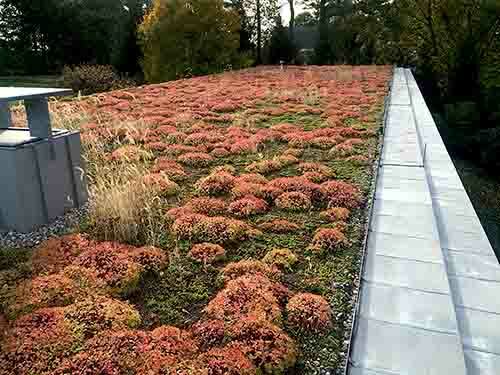 The green roof weighs 14 lbs/sqft when fully saturated.